The present study was undertaken for three reasons: Medicaid is a vital program-in the early 1970s it provided care for over one tenth of the American population. It is a huge program-in the same period it consumed over nine billion dollars of public funds. And Medicaid is, in many ways, the most direct involvement with the provision of medical care undertaken by either the federal government or the states. 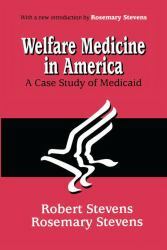 But until the publication of this book, Medicaid had not been studied in depth or in a systematic way. Welfare Medicine in America is the complete history of Medicaid. The authors carefully examine the program's historical antecedents, its strengths, and its weaknesses. In part one, "The Coming of Medicaid," the hows and whys of the establishment of Medicaid are discussed, as are the basic provisions of the program. In part two, "The Euphoric Demise: July 1965-January 1968," the focus is on how Medicaid is administered in the states. In part three, "The Storm: January 1968-July 1970," specific amendments to Medicaid, the costs involved, and other health programs are examined. And in part four, "Benign Neglect: July 1970-June 1973," the role of the courts in administering Medicaid, and its future, are the primary subjects. This history of Medicare, however, goes beyond the specific government program itself and offers a paradigm for inquiring into the problems of medical care in general and the nature and limitations of public medical services. 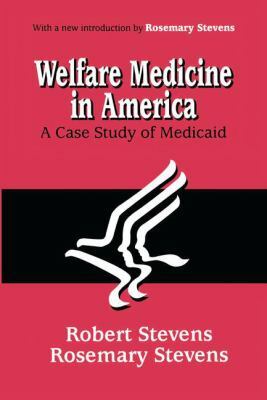 Welfare Medicine in America is a profound analysis of Medicaid and welfare systems, and will be of great use to policymakers, students of welfare and government, and to those working within the medical profession.